#BundyRanch Bombshell Unearthed On FOXNews! Long-Time Harry Reid Aid Is BLM Director! Home Editorials #BundyRanch Bombshell Unearthed On FOXNews! Long-Time Harry Reid Aid Is BLM Director! Another bombshell #BundyRanch connection unearthed on Fox and Friends where we learn long-time Harry Reid aide Neil Kornze was confirmed as the new BLM Director prior to the BLM’s terrorist attack upon Bundy Ranch. 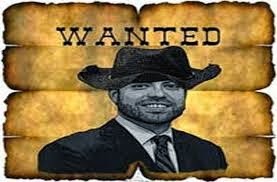 Kornze is the agency’s Principal Deputy Director and has overseen the agency’s THEFT of more than 245 million acres of public land nationwide and is now known as the BIGGEST CATTLE RUSTLER here in America. The Bureau Of Land Management can be reached at (202) 208-3801. According to the criminal agency BLM’s own website, Kornze was a key player in the development of the Western Solar Plan and the agency’s successful authorization of more than 10,000 megawatts of renewable energy, surpassing a congressionally-established goal 3 years ahead of schedule. Watch the entire must-see video HERE.